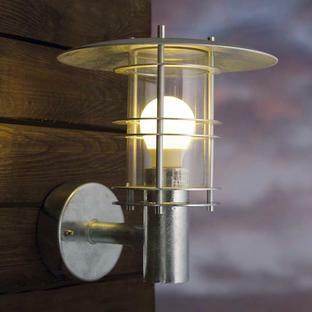 A stunning looking outdoor lantern made from made from galvanised steel with a clear glass lens. 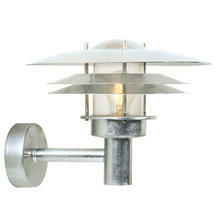 The lantern is a real statement piece for entrances and doorways. 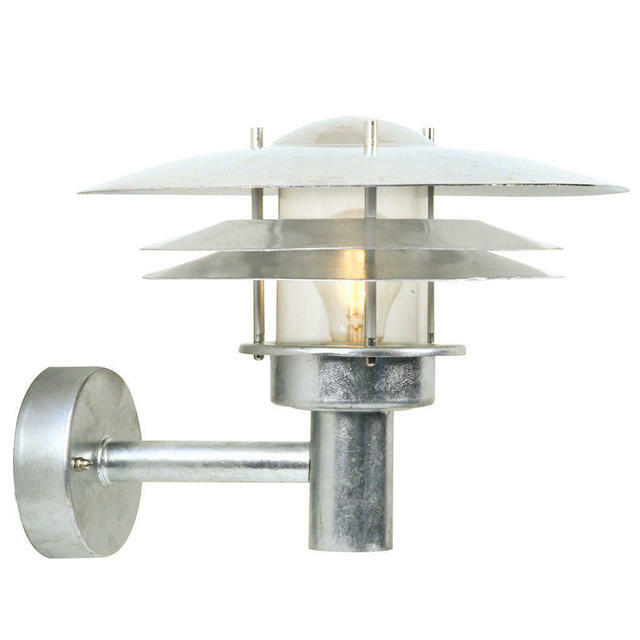 This galvanised light is suitable for coastal locations where harder wearing materials are required. 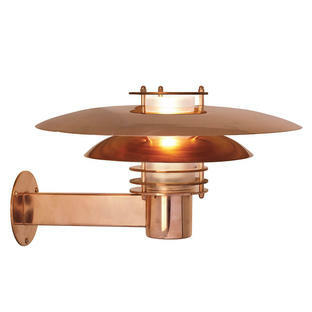 Takes a max 60W E27 bulb, for the best lighting effect with this lantern try the Gas Filament Style Lamp. 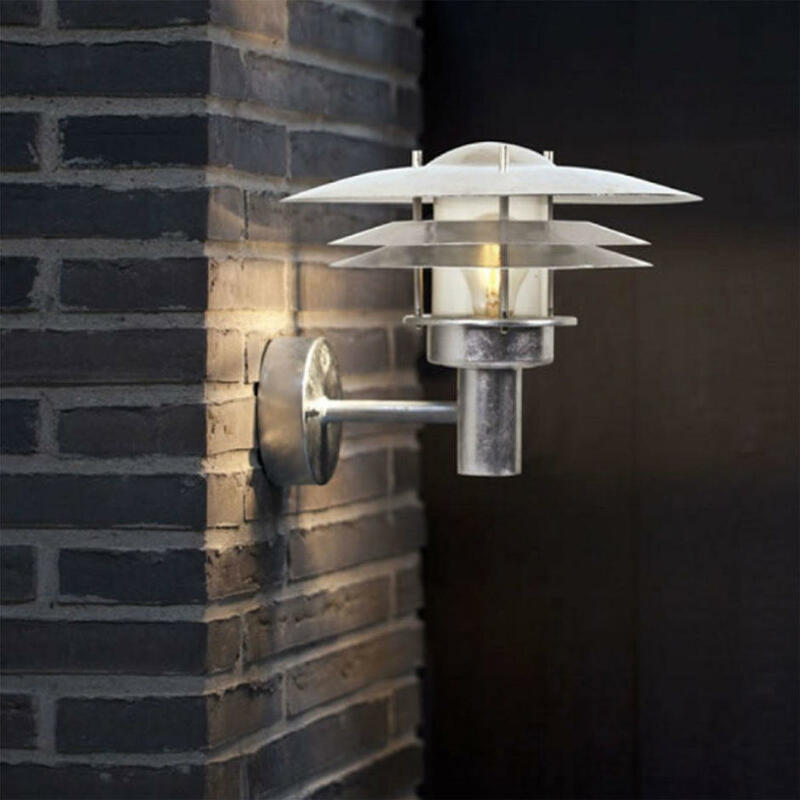 A parallel circuit is possible with this wall light. 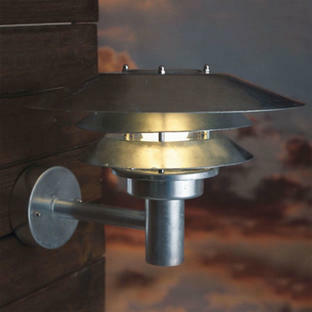 Also available in the Amalienborg range is pillar lighting. Replacement glass is available for this light here. You will need to chose the clear glass option for this light.